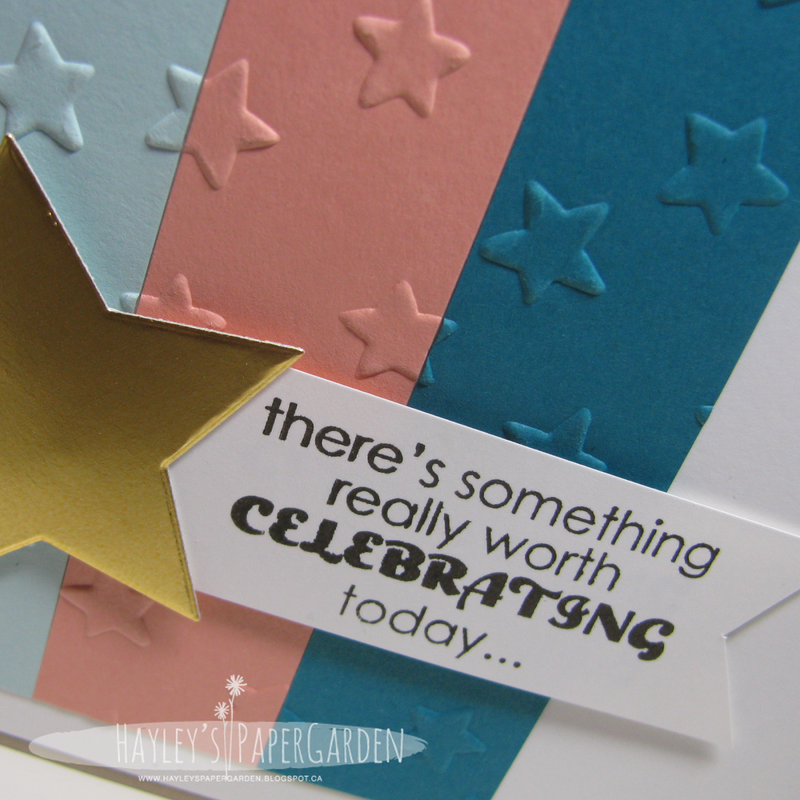 Hayley's Paper Garden: There's Something Worth Celebrating Today...! 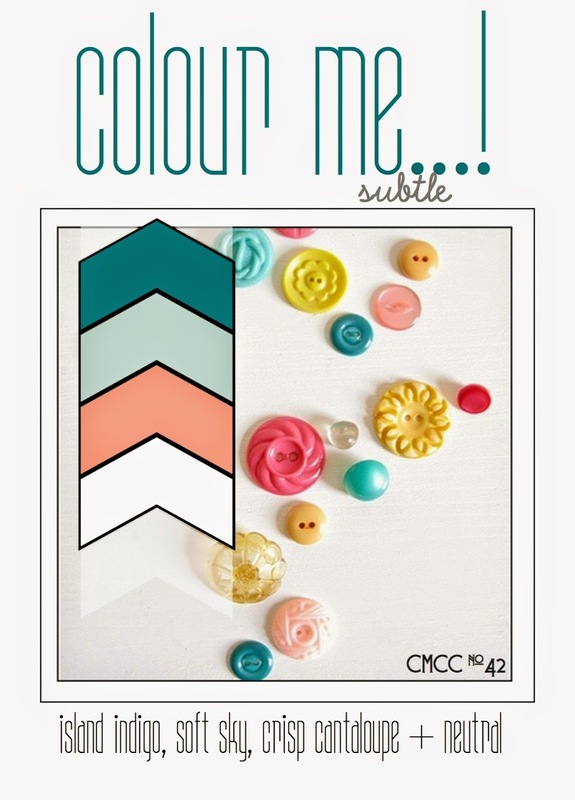 This week we are using Island Indigo, Soft Sky & Crisp Cantaloupe... have fun! I love a good color block design! And the gold star is fantastic! 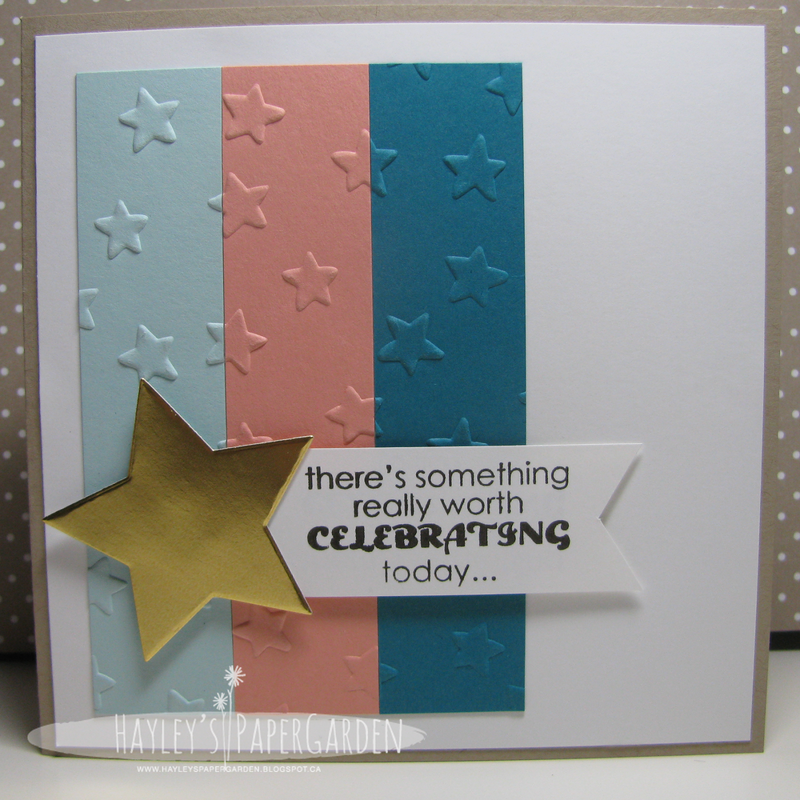 Love that you used colour blocking too - looks great with the embossed stars and that shiny gold sentiment that anchors your sentiment really pops!